Rainbows and bunnies, for real. I made it home from work right before the skies opened up and an hour or so long thunderstorm rolled through. 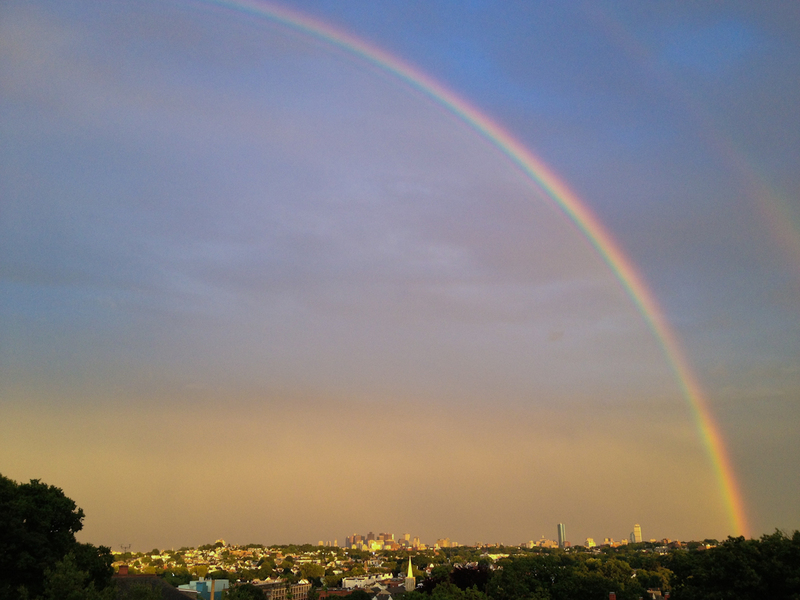 When the thunder stopped and the storm eventually fell apart, the skies cleared from west to east as the sun began to set, casting a rainbow over the Boston skyline. I first noticed it out of my living room window.A clearly defined double rainbow making its way through the trees and roofs. (I thought it was “rooves”, but no. It’s not. That’s hooves, apparently.) At the same time, the humidity in the air broke, and I had no choice but to wander outdoors to follow it further. 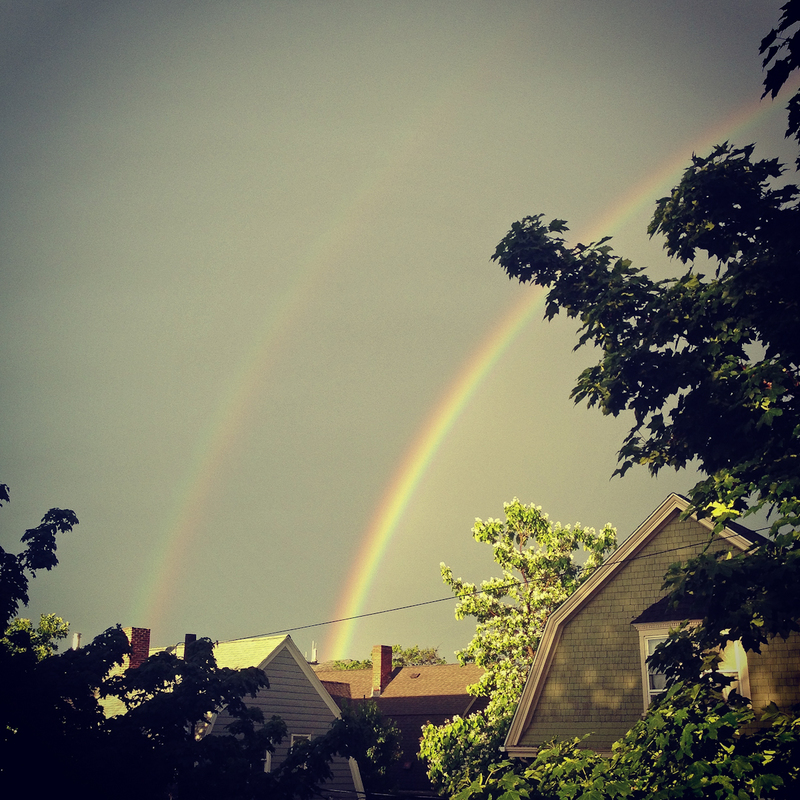 On my way to find a bigger slice of rainbow, I ended up having conversations with strangers on three separate occasions, something which rarely happens in Boston – and to have it occur three times in twenty minutes? Crazy (and welcomed). I also saw a brown rabbit and a twenty-something year old dude standing three feet away from it taking pictures of it eating. That doesn’t happen much here either. I arrived at my vantage point about 10 minutes after leaving my house. Here are some shots I took with my phone of the Boston skyline, on what I have dubbed Boston Day (because the date is 6/17, and also, our area code). 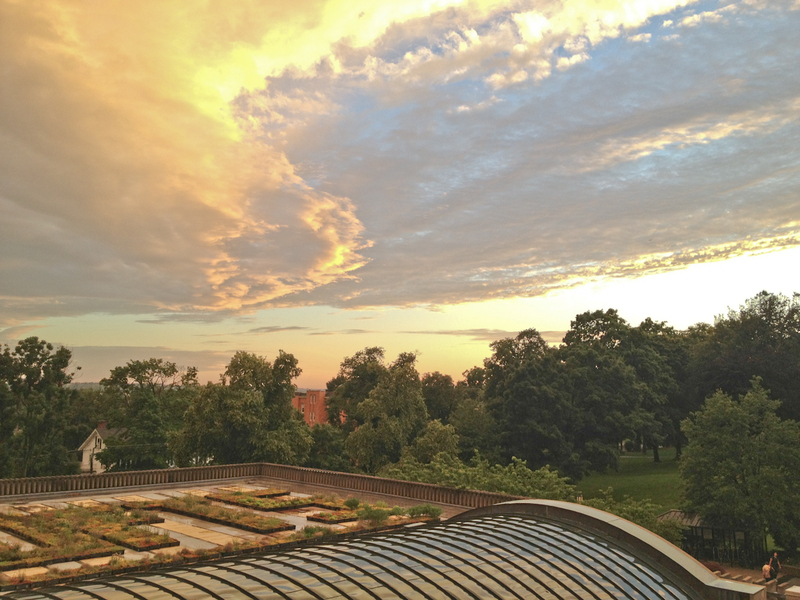 As I turned to leave, I looked at the sky to the west. It was missing the rainbow, but had the sunset, and was equally as awesome. ← Clementine (Orange…) Pistachio Muffins.